As I am partial to reading about journeys, spiritual journeys, like Sun Shuyun’s Ten Thousand Miles Without A Cloud or Bill ‘Red Pine’ Porter’s Road to Heaven or O.M. 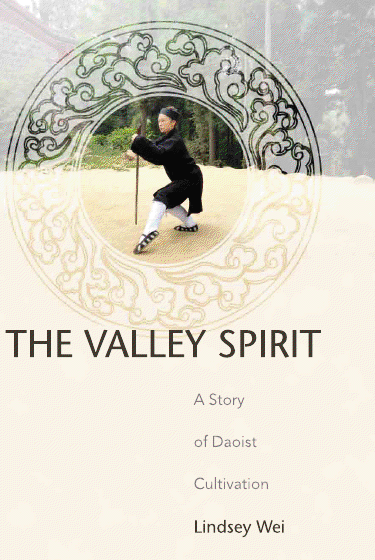 Burke’s Amongst The Dervishes, I was most enthused to discover that Alex Kozma’s Line of Intent imprint has just published The Valley Spirit: A Story of Daoist Cultivation. 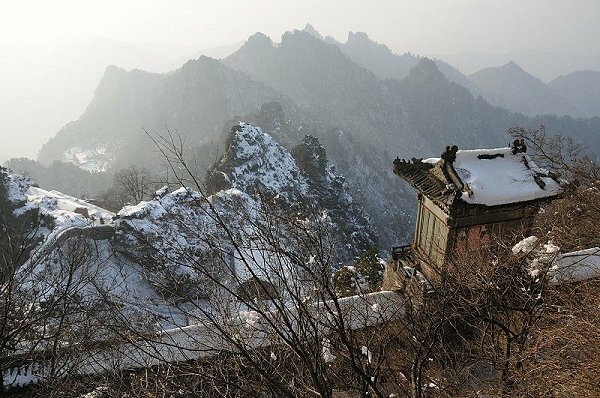 Penned by a young Chinese American, Lindsay Wei, we embark upon a journey to the White Horse Mountain, on the westerly edge of Wudang. Amid the swirling mists and under the tutelage of Li Shi Fu, a hermetic Daoist priest, who has renounced the world of “red dust”, she immerses herself in the internal martial arts, healing, medicine, alchemy and meditation. This is book that promises not just a glimpse into the re-emergence of Daoism in China today but some deep insights into the struggle between earthly desires and heavenly knowledge. The Valley Spirit is unique. This is a woman’s story. It is a search for an identity and it’s the combination of Gnostic texts, the Gospel of Mary Magadalene, the Seven Powers , Guan Yin and the teachings of the Dao De Jing that propel her towards the light. As she puts it, “I was walking in the dark asking which way to go” and this book gives an intimate account of a journey towards enlightenment that is inevitably tainted by sexuality, age and upbringing. Reading this book I thought of Jade Fox in Hidden Dragon Crouching Tiger, abused and embittered by her experiences at Wudang and her woman warrior counterpart, Yu Shu Lien, who yearns for the love of master swordsman Li Mu Bai. Each involved a complicated web of experiences and emotions. Anyone engaged in spiritual or martial practices knows that the search for that teacher, who can provide the guidance you seek, is difficult at the best of times and the experience for a woman is often different to that of a man. However, despite the pain and fear and confusion she experiences along the way she eventually finds a spiritual home. She draws on the strengths of other women who have embarked upon the same path and with guidance from her enigmatic teacher, Li Shi Fu, a modest foundation has been laid. Today, her journey continues and as she says, “I am a young woman in what is also a world of wonder, where multitudes of souls full of compassion linger untapped. And we are warriors if we continue to battle the self, the ego and desire.” Lindsay Wei believes we live in a world where the potential is unlimited and the infinite knowledge of the ancients is there if only we seek it out . She declares that she knows “nearly nothing” but one day she will hui feng dao – return on the wind! Until then she will continue to grind the stone and maybe, in the future, we will be privileged to read another illuminating and thought provoking chapter in her journey along The Way. This entry was posted in Deep stuff, Wushu and tagged alchemy, Alex Kozma, China, Dao De Jing, Daoism, Gospel Of Mary Magdelene, Guan Yin, Hidden Dragon Crouching Tiger, Lindsay Wei, Line Of Intent, Nei Jia, Wudang. Bookmark the permalink.